April 16th, I was looking so forward to this cellarbration dinner. Tickets were $300 a person to benefit the United Way with an auction as well. This event was nicely done as far as the layout of tables for the auction with many great items to bid on. The evening before they had some nice wine but Saturday’s event they brought out the big boy’s. The selections of wine were very nice. The auction started before our dinner, so what was I left to do other than sample some wines. Our table had six different wines that won the best of glass awards. Then I noticed a bar set up towards the back of the room. It was beautiful and immediately I noticed some “La Spinetta” wines. They are from the Piedmont region in Italy and are very consistent with quality. I have enjoyed many of their selections. 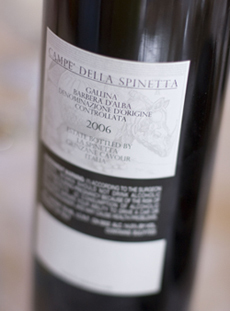 Several times I have done tasting’s with La Spinetta only and everyone enjoyed them. La Spinetta means “Top of the Hill“. 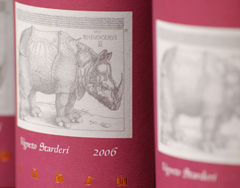 Their labels are very recognizable with the rhinoceros on each label, very unique. No strong meaning other than they are considered to be the king of animals and since Barolo is known to be king of Barolo, they thought it fit well. 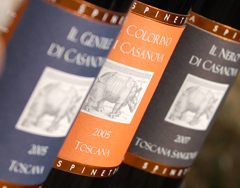 La Spinetta winery has many different grape varietals and labels anywhere from $14- $200. I have enjoyed their wines for many years and these two wines above is a great way to check out their fabulous quality. If you see the “Rhino”, you have spotted La Spinetta. Enjoyable evening for a great charity while tasting nice wines. This entry was posted in Wine Events and tagged events, La Spinetta, United Way. Bookmark the permalink.